Innevape Heisenberg Menthol vape juice combines Blue Raspberry, Blue Popsicle, and Blueberry Slushy with an icy kick of menthol to create a vape juice that will make all of your rock candy dreams come true. 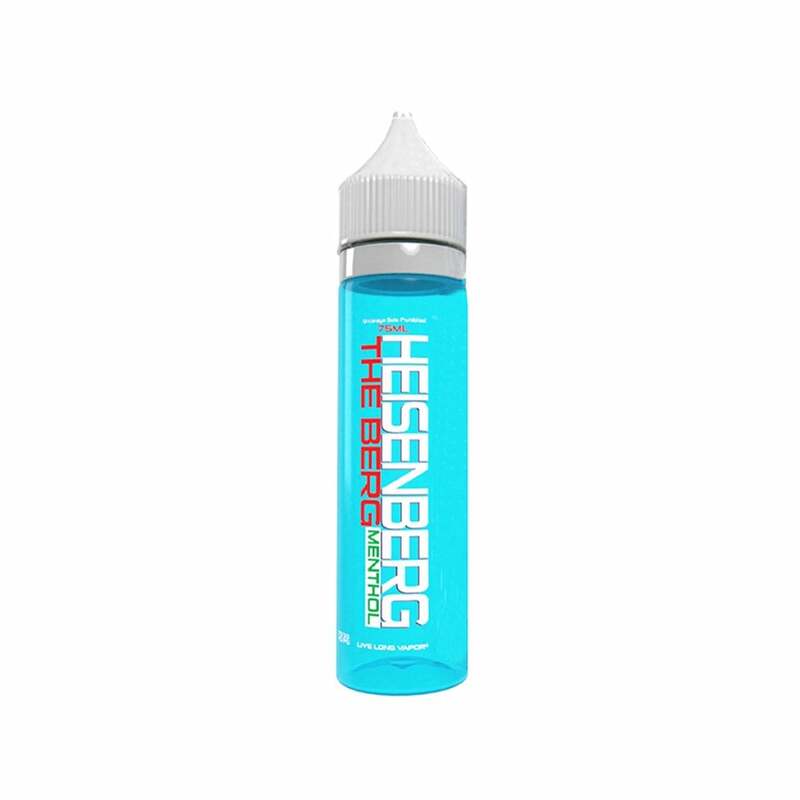 Sweet blue Heisenberg flavor with a menthol finish makes this the perfect juice for anyone who wants to get the blue Heisenberg taste without becoming a kingpin and ruining their family in the process. Sweet berry flavor, without being too sweet, and a fantastic mint blend. This has become my wife and my favorite. I’m a menthol fan & do not like fruit infusion but this is awesome. Will buy again! This is some of the worst juice I have had the displeasure of vaping. Way too much menthol, and very chemicaly. Tasted like a lung full of antiseptic spray for sore throats. I would recommend everyone stay away from this product and for ET to stop selling it. My favorite juice, it has the perfect blend of blueberry flavor and menthol. The best vape juice EVER!!! Kinda wierd tasting, I wouldn't get it again but it's just OK.
Best price for the best ejuice period! Fastest delivery! Done and yum! The only juice I will use! Perfectly balanced, you cannot go wrong with it! I have tried many brand and flavors, Heisenberg is my absolute favorite.